FastBraces® are the revolutionary method developed to provide the illustrious smile you’ve always wanted without the obstacles and length of time required by traditional braces. FastBraces® are changing the field of orthodontics not only due to their ease and safety, but also owing to the fact that they are remarkably faster. If these benefits didn’t already make FastBraces® the obvious choice, what’s more is that FastBraces® are significantly less expensive than traditional braces. Whereas traditional braces on average cost anywhere from $4,000 to up to $7,000, FastBraces® generally cost $4,000 or less! Take advantage of our special, get your FastBraces® today for $2,995! Traditional braces are applied to the teeth and work in two phases. First, the crowns of the teeth are shifted to the desired position. After this has been achieved, the roots of the teeth are then shifted. The entire procedure takes an average of 18 months to 3 years! With FastBraces®, the crown and the root are shifted at the same time, cutting treatment time to a matter of a few months. Patients have even seen results in a few weeks! The amazing technology of FastBraces® makes them stand out from other orthodontic approaches. 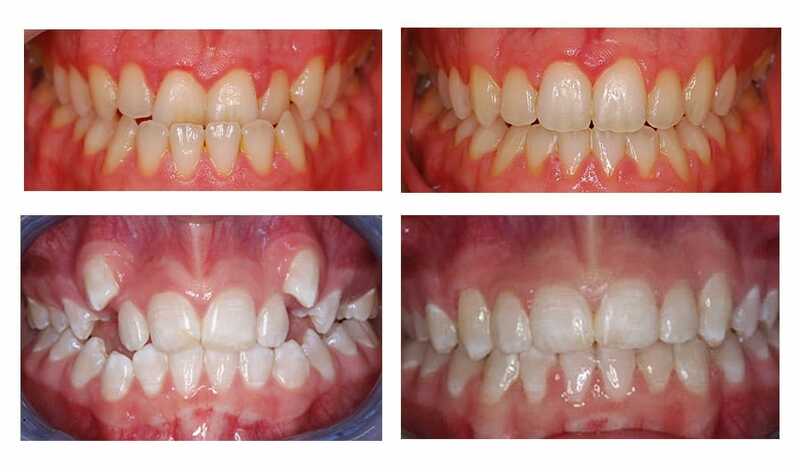 While traditional braces can be quite uncomfortable due to the amount of strain put on the teeth, FastBraces® use gentle forces and unique design to shift the teeth into the desired position in months, not years! Conventional braces require multiple wires to be installed and tightened over a period of years. With FastBraces®, specially designed triangular brackets are fastened to the teeth and a super-elastic wire gently move the teeth in a natural way. Patients rarely if ever experience pain and may begin to see results in just a matter of weeks! Because of the fact that your FastBraces® will be on your teeth for far less time than conventional braces, and owing to the fact that the equipment used in the treatment is very minimal, FastBraces® are often considered the most affordable orthodontic treatment. When it comes down to it, there isn’t much to think about: FastBraces® are cheaper, faster and easier! Unlike conventional braces, FastBraces® don’t require wearing a retainer hours at a time for the rest of one’s life. Typically when a treatment with traditional braces is completed, the patient must wear a retainer for hours at a time. This is done to ensure the teeth don’t shift back to their original position. It is often suggested that one wear these retainers for hours every day for the rest of one’s life. With FastBraces®, a retainer is only required to be worn for 15-20 minutes a day! Research has shown that 77% of adults say their smile has affected their business and social life. Your smile is one of the first things people notice when they meet you. If you are hiding who you are because of a fear of showing your teeth, you may miss out on countless opportunities, and more importantly, other people will be missing out on who you are. In just a few months, you can do away with ever needing to hide your smile and have the pearly whites you’ve always wanted! With friendly, caring staff and a modern, high-tech office, we will ensure your teeth and gums stay healthy for life! Dr. Lopez and his friendly and caring staff will take the time to listen to your oral health concerns. 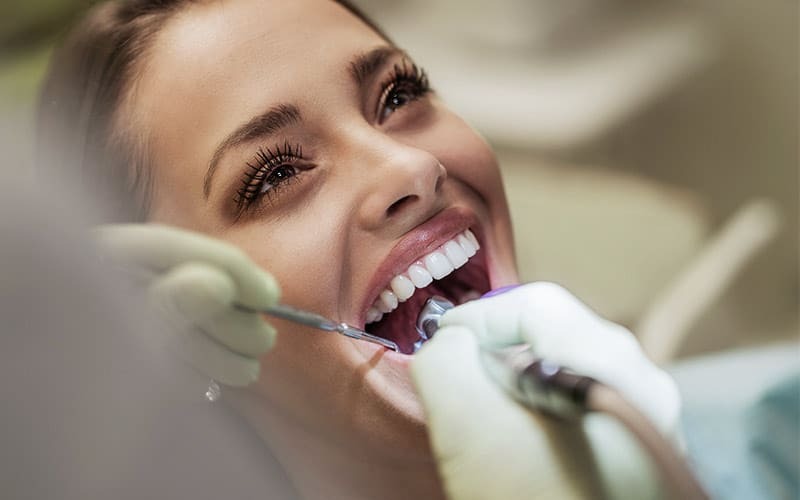 Friendly, personalized care and excellent dentistry with the latest treatment options to ensure you have HEALTHY TEETH AND GUMS FOR A LIFETIME! Beginning with your first visit, you will see why our patients love to refer their family and friends. Our office, located in the heart of South Miami, is dedicated to providing friendly, caring service using the most advanced treatment technology. Make an appointment today and we’ll ensure you and your whole family have healthy teeth and gums for a lifetime! Everyone at Somi Dental Group is committed to making your visits pleasant and stress-free.